Diane seems to have the perfect life. 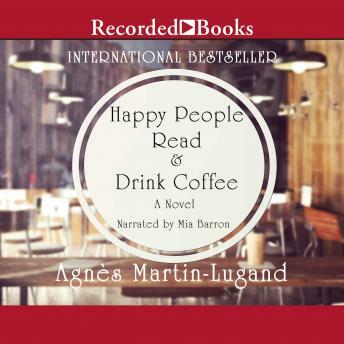 She is a wife, a mother, and the owner of Happy People Read and Drink Coffee, a cozy literary cafe in Paris. But when she suddenly loses her beloved husband and daughter in a tragic car accident, the world as she knows it instantly vanishes. Trapped and haunted by her memories, Diane retreats from friends and family, unable and unwilling to move forward. But one year later, Diane shocks her loved ones and makes the surprising decision to move to a small town on the Irish coast, finally determined to heal and rebuild her life alone-until she meets Edward, the attractive yet taciturn Irish photographer who lives next door. At first abrasive and unwelcoming, Edward initially resents Diane's intrusion into his life of solitude . . . until he can no longer keep her at arm's length, and they fall into a surprising and tumultuous romance. But will it last when Diane leaves Ireland, and Edward, for the home she once ran away from in Paris? At once heartbreaking and uplifting, Diane's story is deeply felt, reminding us that love remembered is love enduring.